HK9A offers A NEW GENERATION OF K9. Jaz and the team at Houston K-9 are the best in the police K-9 training community. They really know their dogs and how they work. If you expect the best, then you need to go to Houston K-9 Academy. 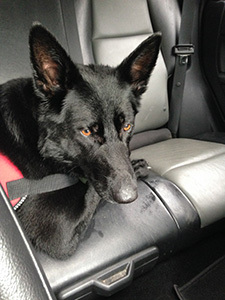 “Yasmin and Jason Stanze of Houston K9 Academy gave me and my family some piece of mind. Last year, we’d just moved into our dream house, and faced the unthinkable. For the first time, in over 30 years, our home was broken into. It created fear, panic & uncertainty. Ultimately, we needed to regain that sense of security. We contacted Yasmin and Jason, and asked for their expertise in purchasing a home guard dog. We’re extremely grateful to them for selecting “Paco”, our giant schnauzer. Yasmin “Jaz” & her husband, Jason, vetted, purchased, trained & delivered our Paco. I’m thankful and grateful for the security that we now feel having our lovely and affectionate Paco. My first trip to Houston K9 Academy was in 2013. I was so impressed with Jason and Jaz’s dedication to detail and passion for everything K9 I knew I would be returning. Currently my department has 6 canines from Houston K9 Academy, and I am positive that they are the best K9’s on the street. My experience training with Houston K9 Academy was awesome… Their step by step instruction made the learning process easy and enjoyable. Their attention to detail in training dogs is second to none. The quality of their dogs is superb, and I recommend them for your K9 needs. I cannot say enough as to how I feel about Houston K9 Academy. Just wish I was closer and able to train with them on a regular basis. Already planning my next trip. In 2013 I was so fortunate to be granted my first Police K-9 from K9s4cops.org, in which the selection of my partner would later come from The Houston K9 Academy. I came into being a handler with little to no experience at all. My training strictly came from The Houston K9 Academy and more specifically from Jason and Jaz Stanze. I spent well over two months living in Houston, TX training with my partner Falko who I still work with presently. Training was intense, but it was all real life and we rarely trained in the same location twice while transitioning from days to night time operations. I was able to return home after graduating this academy brining a lot of new tools and insight to the K9 handler and training world down south. By new training I mean that it was often an old theory that you had to have an aggressive and non-social K-9 in order to have a great working patrol dog. I quickly learned that this was nothing farther from the truth. 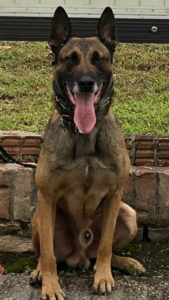 The Houma Police Department currently has two Narcotics and Patrol NNDDA Certified K-9s who were both purchased from The Houston K9 Academy. 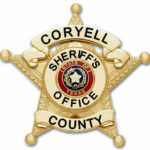 Our partners are extremely social, but also perform their patrol duties with no issues. 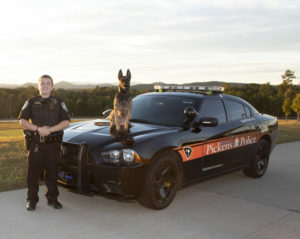 Both our teams focus on public relations and educating the community about our K-9’s. This ranges from Kindergarten classes all the way to State College Campuses and Businesses. It is our theory that although we have our partners while on duty all the time the less we have to use them the better. The public’s knowledge that we as a department have this amazing tool sitting right behind us in our vehicles at all times does wonders. Falko and I were awarded several awards in our career. In 2015 we were awarded K9s4cops.org Narcotics K9 Team of the year. Also in 2015 I was awarded The Houma Police Department Police Officer of the Year and in 2018 the prestigious award of the Louisiana Police Chiefs Association Police Officer of the Year for the State of Louisiana. None of these awards or achievements could have been accomplished without my K9 partner Falko. 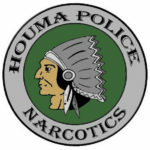 Falko and I still continue to fight the war on drugs being assigned to the Narcotics Division and also the Houma Police Department S.W.A.T. team. We are also assigned to the Department of Homeland Security Federal Task Force. To this day we still train in real life situations and press the fight using “a new generation of K9’s” mind set. I highly recommend The Houston K9 Academy for private purchases, law enforcement, and any other K9 needs. Agent Corey J Duplantis, Houma Police Department S.W.A.T. The focus, professionalism, and outstanding accomplishments of Jaz and Jason Stanze are without equal. 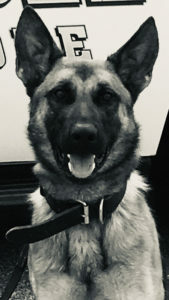 My dog Oxana is an accomplished example of their abilities, but to see and experience the dogs they have trained for law enforcement, personal, and corporate entities is most impressive. Not only has Houston K9 Academy handled an outstanding dog for me, but the experience for me has meant so much in understanding and the awareness of what these dogs provide in a critical and meaningful way in all our lives, even though you may have no interest in a dog of your own! Contact them and learn of the ways they can impact your community thru education in schools, exhibitions and support of our law enforcement. 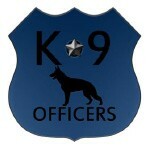 We are a small municipal police department located in northern California with two K9 teams. Our department operates on a very limited budget. 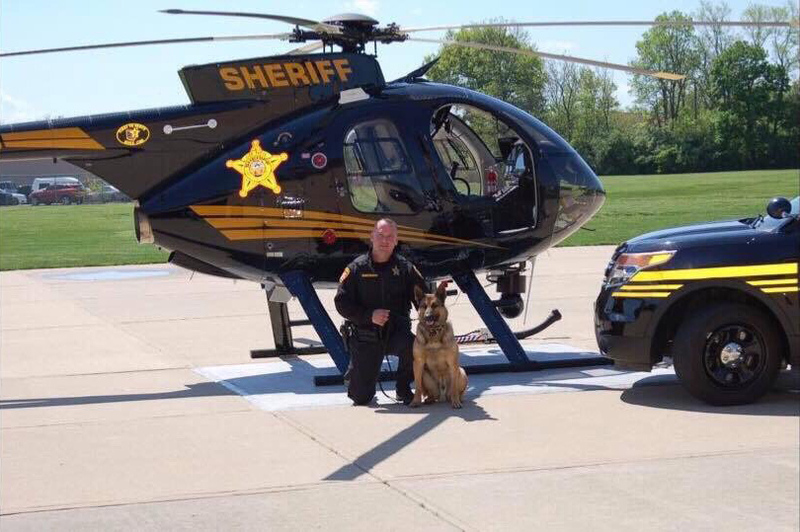 Recently we were forced to retire one of our veteran K9s, leaving us with only one K9 to handle patrol and other K9 needs. 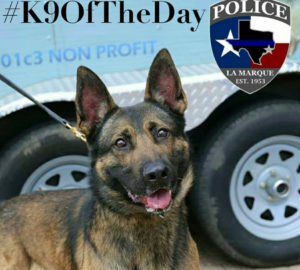 It was a blessing when we discovered the K9 for Cops program and their associate, the Houston K9 Academy. 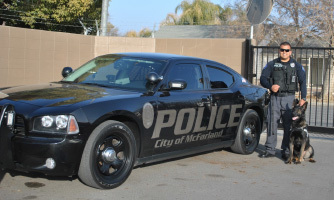 We submitted an application and they expeditiously awarded us (the McFarland Police Department) with a young male Shepard. 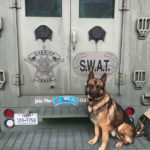 We contacted Jason and Jaz Stanze with the K9 Academy and they treated us like family, from the initial phone call till the time we boarded the airplane with our new K9 “Otis.” A novel can be written regarding the hospitality we received from the K9s4Cops organization and the Houston K9 Academy and staff. The selection process was intense but was dealt with through patience and diligence. Jason and Jaz were determined to see us receive the best certified and qualified dog for our department’s needs. Jason and Jaz made sure the dog we selected was healthy and received a clean bill of health through veterinarian documentation (IE. hip, elbow and back x-rays, and blood testing). 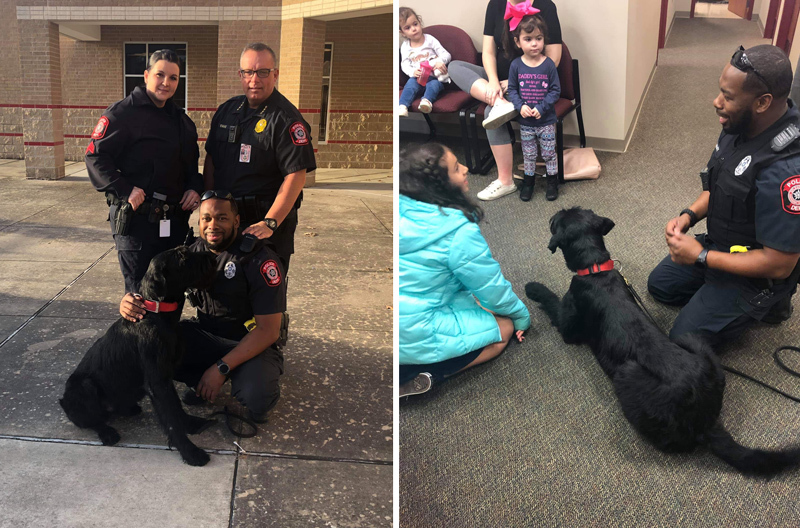 These procedures were performed in the presence of Jaz and the McFarland Police Department’s representatives, showing true transparency by the Houston K9 Academy, with nothing to hide. I believe the relationship between the K9s4Cops Organization, the Houston K9 Academy and the McFarland Police Department will be a lifelong relationship that will be honored. Thank you so much for all you have done for our department and making it possible for “Otis” to help protect the citizens of McFarland California. As the Assistant Chief over the Harris County Downtown Courthouse Complex, I am more than impressed by the quality of training our canines and deputies have received from Houston K9 Academy. Everyday our canines patrol our county courthouses, keeping the thousands who visit and work there safe from explosives and weapons. We have the Houston K9 Academy to thank for the outstanding training they provide our deputies and canines. Thank you Houston K9 Academy for your commitment to law enforcement! The Harris County Precinct One Constable’s Office is thankful for the outstanding training provided by Houston K9 Academy. Through the generosity of K9s4Cops, Houston K9 Academy has provided training for more than half of our canines and their handlers. Precinct One has a large K9 unit, and the support of your organization ensures this unit is functioning at a very high level. Houston K9 Academy is among the best in their business, not just locally, but in the Nation. 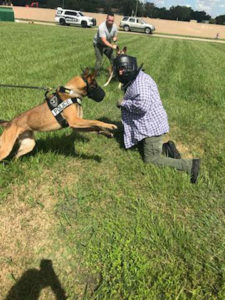 The rigorous training they provide is top notch, using real world scenarios that make our canines and their handlers ready to take on any challenge they face while in the field. Houston K9 Academy truly lives up to their motto: “Training on the streets for the streets.” It is no wonder law enforcement agencies across Texas choose Houston K9 Academy to train with the best. From searching for explosives in the Downtown Courthouse Complex, to patrolling the streets for narcotics, graduates of Houston K9 Academy are making the streets of Harris County a safer place. 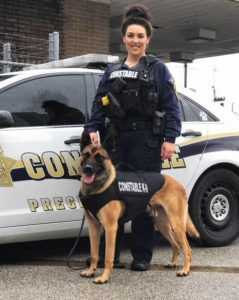 The Precinct One Constable’s Office wishes to thank Houston K9 Academy for their leadership and professionalism in the law enforcement canine industry. I have known Jaz and Jason Stanze for nearly five years. Within that time, I have received three dogs from them: one personal protection, one family protection, and one police K9. Their knowledge and passion for dogs is comparable to none. They are dedicated to making sure their dogs are paired with the best handler for them to ensure success of the team. All three of my dogs from them are very different in their own ways, but the quality in each is the same across the board-the highest quality dogs possible. 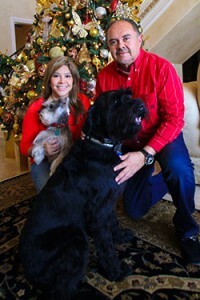 Houston K9 Academy produces the BEST dogs from two of the best trainers known worldwide. You won’t find more real life scenarios in training as you will with them. If you are dedicated and want to succeed bad enough, they will help mold you to be the best K9 team you can become. In 2016, I started my K9 journey with the Pct 1 Constable’s Office. I received a HoustonK9 dog and attended the Houston K9 Academy. Jaz and Jason both were great instructors with a tremendous amount of knowledge and experience. 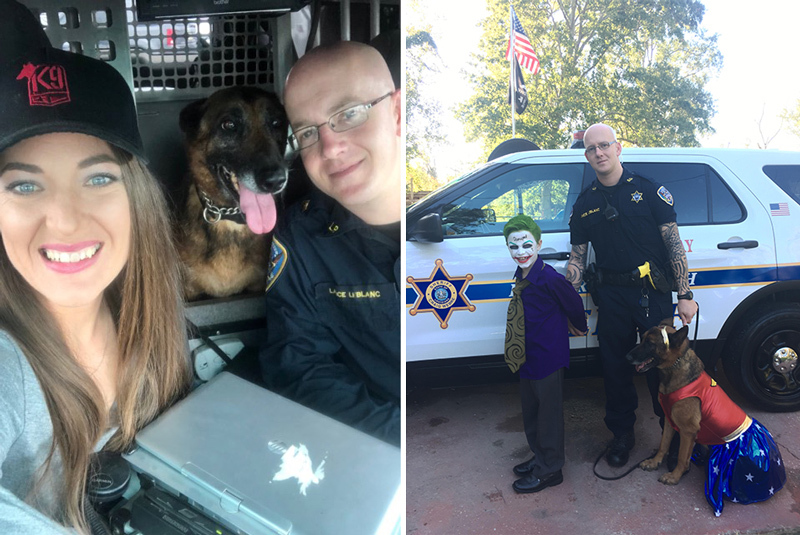 Jaz and Jason took the time to explain and demonstrate in detail the process of running a K9 in order to become a productive and successful K9 handler. After completion of the K9 Academy, Jaz and Jason continued to reach out and give any assistance I may need. In 2017, I switched from a single purpose to a dual purpose K9. Once again, I received an amazing dog from HoustonK9. K9-Jeck is everything I have imagined what a dual purpose would be. The product that Jaz and Jason produces is unmatched and the quality speaks for itself. I am 100% confident in the abilities of K9-Jeck to locate any object we may be looking for and most of all, to keep me safe every night. 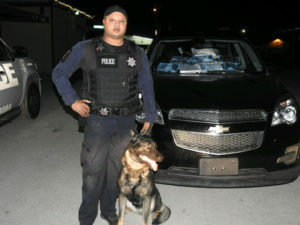 I take pride every time K9-Jeck is deployed do to the fact that I know where and who produced this K9. There is nothing K9-Jeck and I can’t handle when working as a team and patrolling the streets. I would like to thank Jaz, Jason, and the HoustonK9 staff for their professionalism, dedication, and continued support through my journey as a K9 handler. 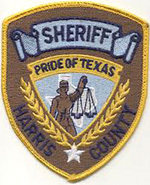 The Harris County Constable’s Office, Precinct 4 has proudly enjoyed a working relationship with the Houston K9 Academy for many years now. Currently, we have four department K9 units and their partners that received training and certification through the academy after being awarded each by the K9s4Cops organization. Each time, the K9 Handler and their partner has returned to the agency very well trained and ready to serve the community. Jason and Jaz strive to exceed all expectations one may have. This is easily observed by their dedication to providing the highest level of training. We also enjoy the peace of mind in knowing that our K9 Partners will receive excellent care while boarded at the facility and away from their handlers. I would like to extend my support to Houston K9 Academy and express my appreciation for their professionalism and excellence in the canine industry. I have had the opportunity to attend HK9’s trainer class as well as many other classes hosted by this company and can say without reservation, they are one of the elite companies/trainers of canines in the industry. 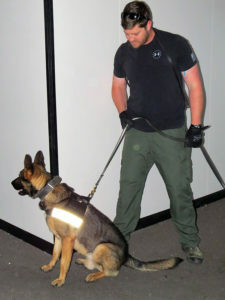 Jason and Jaz are always available to assist in training, or resolving a problem with a canine and offering solutions. In addition to their knowledge and training experience, Houston K9 Academy provides excellent canines for multiple purposes. 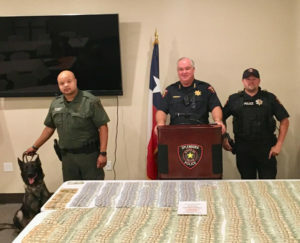 I have personally utilized Houston K9 Academy in the selection and purchase of single purpose narcotics canines, an electronic storage device detection canine, and multiple dual purpose patrol/narcotics canines. I selected my current canine from HK9 and could not be happier. There are a lot of vendors that provide canines, but if a street ready canine is what your agency needs/desires, HK9 Academy is the vendor for you. On my first deployment of my first shift with Ziko, I deployed on a burglary motor vehicle suspect who evaded on foot. Ziko was deployed and engaged without hesitation on the suspect who had refused all commands to surrender. In addition to my personal experience, I have certified multiple dogs that have graduated from Houston K9 Academy and can attest to their performance. Jason and Jaz at Houston K9 Academy were instrumental in training Delta. Both Jason and Jaz are always there to lend a helping hand, even four years after Delta completed the training program. 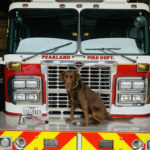 Delta is one of the top Accelerant Detection K9s in the state of Texas, and we owe much of that to Houston K9 Academy and the initial training they provided. Houston K9 Academy goes above and beyond, even answering calls at 2 a.m. Jason and Jaz are always willing to help with any questions I may have or lend us their time and expertise. We are truly pleased with the K9 we received and the training and continued support of Jason, Jaz, and Houston K9 Academy. The Houston K9 Academy should be the gold standard in the United States in reference to well trained dogs, handler, and trainers courses. I attended the Houston K9 Instructors course and received a first hand look on up to date training method as well as instructing students on the various aspects of training police dogs. The instructor course takes trainers and their students through day 1 operations and it was very rewarding watching the student’s grow with their dogs as handlers. Since returning to Upstate South Carolina, I have enabled local K9 teams to utilize their dogs far more than they would have ever imagined. It was a pleasure to attend the instructors course and I will be back for more! I was given the opportunity to attend the Houston K9 Academy trainers course and I found it to be beyond my expectations when it came to the intense and realistic training offered by the trainers Jaz and Jason Stanze. 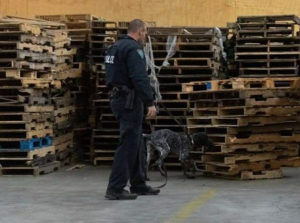 During my time in the trainers course I had the opportunity to train and instruct handlers and K-9’s in narcotics detection, explosive detection, accelerant detection, tracking and patrol work. After completing the course, I felt it prepared me at a confident level to step into the role as K-9 Trainer for my Department’s K-9 Unit. During my time in the trainers course I had the opportunity to work with several dogs in the kennel and was impressed with the temperament and quality of performance the dogs exhibited. My Department has purchased two K-9’s from the Houston K-9 Academy and we are very impressed with the performance of the teams that have graduated from the handlers course. 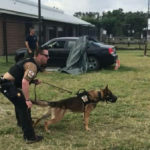 The handlers were put through an intensive handlers course that prepared them not only for certification but at a level where they were able to step into productive roles as members of the Baytown K-9 Unit. 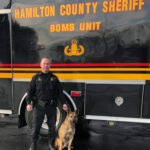 Jaz and Jason Stanze’s passion and dedication to producing highly qualified k-9 teams is evident in every portion of the process from the beginning of training to well after the team has left the handler course. If you are looking to purchase a K-9 I would highly recommend contacting the Houston K-9 Academy but prepare to train hard. I had the sincere pleasure and opportunity to be trained by Jason and Jaz along with them providing my wonderful K9 partner Niko. I did not know exactly what to expect in traveling 1100miles from Indiana to do so but could not have picked a better place or people to learn from, train with, and become part of the family. And when I say “family”, I mean just that. All those involved in Houston K9 Academy made me feel comfortable right away and more importantly confident in my abilities and those of my best buddy Niko as we made progress through the course. The knowledge, professionalism, and overall training experience was second to none and one I will never forget. In the business of Law Enforcement there are many number of avenues to get what you desire in regards to equipment, training, and personnel. For those interested and looking for K9 training you should not have to look any further than what Houston K9 Academy has to offer. I rely on the training I received and built upon from Houston K9 Academy daily to keep my community, partners, and myself as safe as possible. Throughout my career as a handler, I’ve seen several different methods to train working dogs. Unless you’re in the profession, it’s difficult to understand how certain training that works for some dogs may not work for others. Going through Houston K9 Academy’s trainers course has not only opened my eyes to so many different options, it’s been proven by implementing those philosophies into several untrained dogs they provided for the curriculum. Jason and Jaz never told me that their way was the only way to shape behavior. This truly shows a willingness to keep growing in the K9 industry. On another note, Jason and Jaz are truly exceptional people. I have seen them work tirelessly on issues other handlers may have. They both will personally go the extra mile to make sure anyone that needs help will be taken care of. Whether training, hotel accommodations or dog care issues; you name it and it will be addressed and resolved. Thank you, Jaz and Jason, keep up the great work! 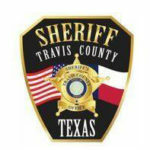 I am a 9 year LEO and 2 year K-9 handler with the Travis County Sheriff’s Office. My first working dog was retired so the agency purchased a new dual purpose K-9. Still considering myself a “green” handler, I was not comfortable taking on the training myself. Our unit trainer was actually going to Houston K9 Academy’s trainer course the day after I selected the dog. When Houston K9 found out I was left without a trainer, some calls were made between Houston K9 and my agency and I was offered K-9 patrol course (5 week course) free of charge by HK9A. I had been through a K-9 handler course before, so I was hoping just to get some help training up my new canine. Was I ever mistaken!! Jason and Jaz spent countless hours with me and my K-9 (Roki) to ensure we got the very best training possible. Jaz and Jason’s training style is far superior and up to date then the training I originally received. I attended the trainers course at Houston K9 Academy in 2015. I was referred there by another K9 trainer who has known Jason and Jaz for years. This trainer told me that both of them were really good experienced trainers. From the day I started at Houston K9 Academy it was obvious that Jason and Jaz knew exactly what they were doing. They were very personable and we quickly became friends. Their facilities were clean, with multiple onsite as well as offsite training venues for patrol and detection. They had a large inventory of all different breeds of dogs for me to train with. Jason and Jaz both are extraordinary trainers with a VAST knowledge in every aspect of a working dog. Both of them gave detailed, in depth instruction in such a way that it was easily processed and retained. The training I received from Jason and Jaz was cutting edge! They are truly Topic Matter Experts! We have purchased several dogs from them since and have had nothing but success from each dog. I have kept in constant contact with these guys and they are always telling me about new training methods they have created for problem solving, patrol, detection, and just dealing with those dogs who might be just a little more stubborn than others. I recommend to anyone who’s looking for dog or some quality training whether it be basic or advanced, Houston K9 Academy is place! We are grateful for your contributions to our canine program. Our success with accelerant detection canines is a direct consequence of your energy, professionalism, and especially your patience. Continued success to you and your team and looking forward to doing more work with you in the future. 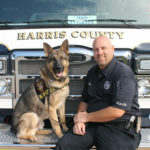 On December 18, 2019 I started Accelerant K9 training with the Houston K9 Academy LLC with Jaz Stanze as my instructor. Seeing as Dio was my first K9 partner, I was nervous wondering if I had what it took to become a great K9 Handler. After starting class, I was quickly at ease as Jaz made me feel at home. Through the next month of training I soon realized that Dio and I hit it off great. The quality of training I received from Jaz was absolutely amazing, which helped me and Dio become who we are today. I am so grateful for Jaz pushing us harder and harder each day which has made Dio and I a great team. I would definitely recommend the Houston K9 Academy for any type of K9 Training as they produce such great results. The Houston K9 Academy is top notch. The facility is very well kept, the dogs are second to none, and the training is some of the best I’ve seen. Passion and love for the dogs and the K9 specialty are very evident upon entering the front doors. From Shannon’s knowledge and desire to help, to Jinna’s care of the dogs and maintenance of the kennels, to Eddie, Jaz, and Jason’s real world training; HK9A is a leader in the industry. Over 20 years ago I was given the opportunity to be a part of the selection process and the training of our agencies K9 unit. We have used several different vendors throughout the U.S. and we have never had the opportunity to continuously select the caliber of dog like we get from Houston K9 Academy. The fact that Jaz and Jason still put boots on the ground in Europe and select the dogs they bring back ensures they are getting the best of the best, which is making it easier for the trainers and handlers from all agencies. 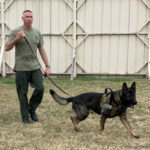 The training techniques that Houston K9 utilize shows that they continue to evolve in this industry in order to make the dogs and handlers they put out the better. The support that Houston K9 has given my agency over the last 4 years for our annual K9 seminar is second to none. They go out of their way to ensure our success, they have made our seminar better with outstanding training methods and scenarios. Thank you to Jaz, Jason and the staff at Houston K9 Academy for all of your help and support!! Just because the 9-week course came to an end, didn’t mean I would leave the facility with an amazing dog, a certificate and a “good luck”. Nope, I got all of that, plus much much more. Since graduation I keep constant communication with Jaz and Jason via telephone and social media. Anytime I have a question I can call and ask. Anytime I talk with either Jaz or Jason they ask me about scenarios which I’ve had that way they can tie it in with training if they see fit. The last two years with K9 Rocky as my partner have been the best of my career. I fully trust him with my life and if he could talk he would tell you he trust me with his. K9 Rocky has put his life on the line for me on several occasions. I could go on and on but the most important thing is Jaz and Jason from Houston K9 Academy care about K9 programs all around and want the programs to succeed. Jaz and Jason don’t run their businesses as a “money making mission” they run it as they are doing what they love and they aren’t going to cut any corners. When someone completes the 9 week course, they also become family with the Stanze’s. Love y’all and thank y’all for what ya’ll do. Also thanks for introducing me to my best friend. Seeing my K9 partner, Rex, work every day, I understand why Jason and Jaz are considered the best in the business. I graduated in 2015 from the Houston K9 Academy and still train with them on a regular basis. When you train at the Houston K9 Academy you not only will get the best trained k9 around but you will also build a great relationship with the trainers that will last a lifetime. 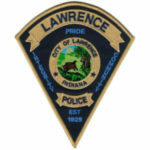 I have been to a ton of law enforcement classes in my career. None have been run as professional as Houston K9 Academy. Their love for K9’s shows with the amount of time, patience, and training they put into not only the K9, but the handler as well. Can’t wait to continue my training with them. 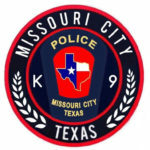 My name is Steven Deliphose and I’m a K9 Handler with the Missouri City Police Department. My agency was granted a K9 and we selected my partner from Houston K9 Academy. Jason and Jaz saw my passion and did everything in their power to take me under their wings. In September of 2014 I went to the Houston K9 Academy to choose a new partner. That day I was privileged enough to be paired with my K9 partner Gunner. The training that was put into Gunner made it easy for us to transition to the streets as a dual purpose K9 team with the Houma Police Department. Over the past 4 and a half years Gunner and myself have made numerous cases and are responsible for the arrests of many violators. But, Gunner goes above the Enforcement aspect of police work, we have visited every school within our parish and a few out of parish to conduct educational drug talks and K9 demonstrations. 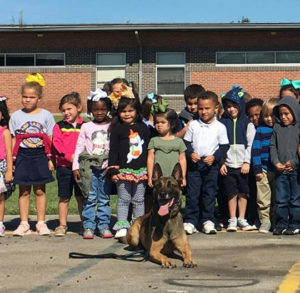 The sociability of Gunner speaks volumes and exemplifies the expression “A new generation of K9” thanks to Jason and Jaz, and the Houston K9 Academy the Houma Police Department has a great K9 team! My experience with Houston K9 Academy has always been excellent. 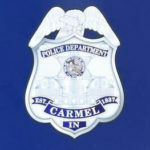 I have been in the K9 world for over 20 years as a handler and trainer for my police agency and Trident K9 Consulting. When I first visited Houston K9 in January 2019, I was truly impressed with their facility and the high-quality of dogs. I met with Jaz Stanze and Eddie Dickman during my visit and was truly impressed with their welcoming personalities and knowledge of K9s. They spent the time to show me all of their high-quality dogs and facility and how they train their dogs to excellence. I quickly noticed Houston K9 Academy has the highest quality of K9s, who are also very social and trainable. 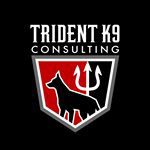 As the owner of Trident K9 Consulting, I now purchase police K9s from Houston K9 Academy and will continue purchasing K9s due to this impressive business. I highly recommend that if you are looking for K9 training and/or looking to purchase a working K9 visit Houston K9 Academy, you will not be disappointed!!! 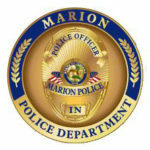 K9 Assuan was purchased from you guys by Marion Police Department in Indiana and I have been working him for 3 years now. Has multiple physical apprehension along with countless narc finds and multiple successful tracks. K9 Assuan also works with me on ERT where his size, obedience, and clear headedness make him perfect swat fit. K9 Bullet and myself have went through several schools now with Jason, Jaz, and HK9A. I have been impressed with them and have learned something new or better with every school I have attended. These two really know what they are doing and it shows in their work and dogs. 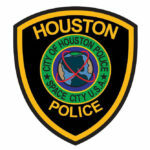 As a canine trainer with the Houston Police dept. I have been impressed with their professionalism, and the fact that they stand behind there canines and training. I have reached out to them on a few occasion regarding problems that we were having with a canine. Jason has helped us out anytime I have called and asked, even coming out on his own time during our training sessions to observe, help correct a canine problem. Cant say enough good things about HK9A.. 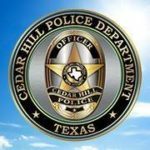 In May 0f 2017 I was informed by my department that I would be attending the Houston K9 Academy in the replacement of one of our Officers who was not making the cut. Little did I know at the time, I would be entering the course at its midway point. I would have really focus to get up to speed with the rest of my classmates. During the next 7 weeks I not only found myself catching up, but I gained a new confidence in my abilities as a new handler. I was pushed in ways that I never imagined, as well as building a trust in my partner “Ordy”. Upon the completion of the course, I felt as if I was capable of carrying out the duties of K9 handler both on and off the streets. Since graduating from the Houston K9 Academy’s Handlers Course I have been able to keep in close contact with both Jason and Jaz more than often regarding challenges that I have encountered. I have also shared some of my careers most joyous moments with. I would certainly recommend my friends at the Houston K9 Academy to any agency in the world, because they are that good at what they do! Houston K9 Academy has been our preferred K9 provider since the inception of K9 Officers. There is never a doubt that we will get a healthy, social dog with all of the right qualities of a top notch K9. All of our K9 Officer K9’s that came from HK9A had a real find within 24 hours of being deployed on the street. 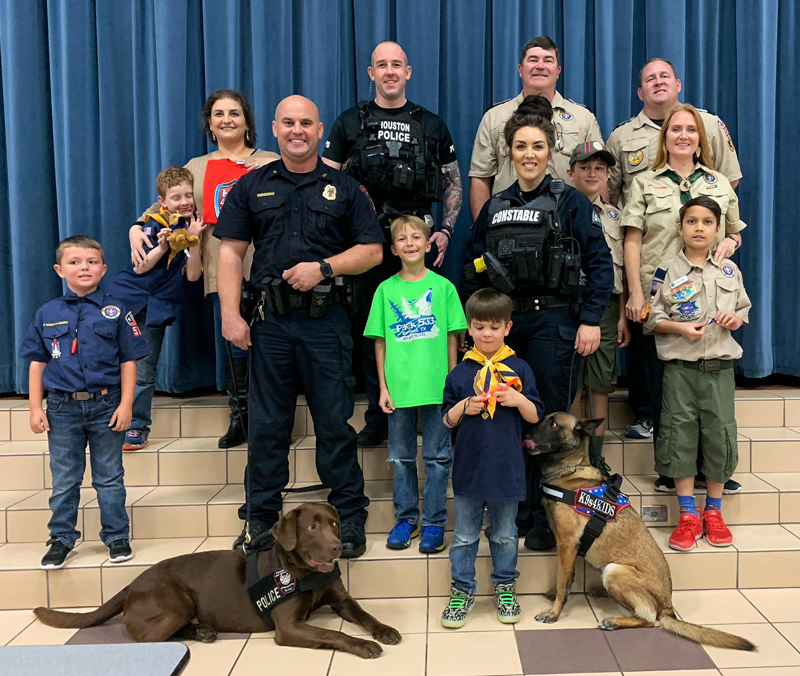 Not only are they amazing working dogs, they are also dogs that can go into a school or to a civic organization and be at complete ease around the public. 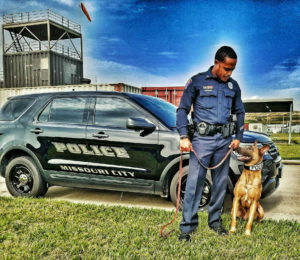 Jason and Jaz Stanze are naturally gifted, highly dedicated individuals when it comes to brining out the best in a police K9. We are fortunate to work with them because making sure each and every officer has a reliable, intelligent, strong partner is priority number one for us as an organization and when we get a K9 from HK9A we know we are getting that top K9. HK9A also provides first rate training for both K9 and handler. Their knowledge, dedication and natural ability gives each dog and handler the best chance for success not only in training but most importantly to be prepared for the dangers they face each and every day on the streets. We appreciate all of the real world training they do for each and everyone of the officers and the individual time they give to everyone of the K9s and handlers. Thank you for always giving each and everyone of the K9 Officers dogs and handlers your best! 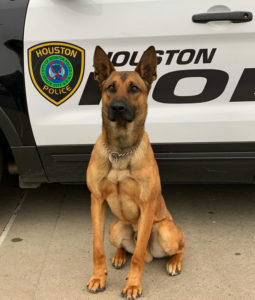 K9s4Cops would like to extend its support and appreciation to Houston K9 Academy for their professionalism and excellence in the canine industry. 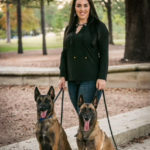 K9s4Cops has utilized Houston K9 Academy; a female minority owned business over the past several years and could not be more pleased with the quality working canines turned out by this company. Many of the canines gifted through our organization come from Houston K9 Academy and the reviews from our officers speak for themselves. Many agencies we have dealt with over the past eight years request to obtain their canine and training through Houston K9 Academy. This speaks volumes when the agency already has their own canine training system in place. Owners; Jason and Yasmin are always available to assist in training, or resolving a problem with a canine and offering solutions. They are a true asset to the canine community. In addition to their knowledge and training experience, Houston K9 Academy provides excellent canines for multiple purposes. 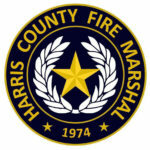 We have personally utilized Houston K9 Academy in the selection and purchase of single purpose narcotics canines, an electronic storage device detection canine, arson detection, and multiple dual purpose patrol/narcotics canines or patrol/explosives canine teams. We take great pleasure in endorsing Houston K9 Academy. To Houston K9 thanks again for the great training and friendships that came from attending Houston K9 Academy. It was some of the best training that I have received in my 19 years in Law Enforcement. 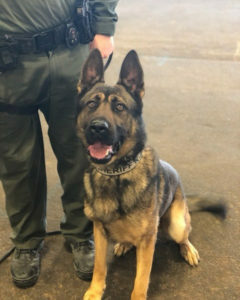 K9 Kane is a great Deputy and has been a wonderful asset to our department. Being a first time K9 handler I was unsure what I was getting myself into, but with the training received from Houston K9 Academy we left with the knowledge and confidence to handle any situation we might come across on patrol. Thanks to K9officers and Houston K9 Academy. 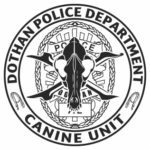 In December of 2018 I sought and received a grant donating the most of obtaining a K-9 for our Police Department. We met with Houston K9 Academy and K-9 Boss was determined to be the best fit for what we, as an ISD Police Department were looking for. 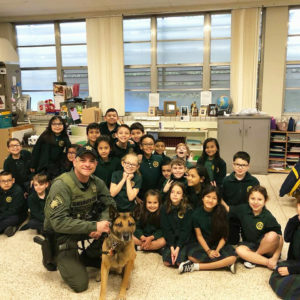 K-9 Boss has a very easy going demeanor and is easily integrated into classroom environments, surrounded by multiple small children. Houston K9 Academy and their staff have done an outstanding job in helping us obtain the right K-9 for our mission and, ensured training for both Boss and his Handler, Officer Mosely, are not just at but, above par. I would recommend Houston K-9 Academy to any Law Enforcement Agency who is looking to either add or expand their K-9 Program. 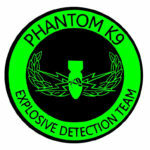 Phantom K9 purchases its outstanding, highly trained, and certified Expolsive Detection Dogs (EDD) from Houston K9. 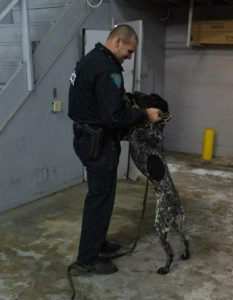 They also receive continued training from Houston K9 on a regular basis. 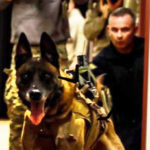 Phantom K9 uses these dogs to conduct detailed explosive sweeps of the Pepsi Center in Denver, Colorado. And Dicks Sporting Goods Field in Commerce City, Colorado The Pepsi Center is currently the home of the Denver Nuggets (NBA), Colorado Avalanche (NHL) and Colorado Mammoth. These protective sweeps are conducted to in sure the safety of up to 21,000 fans per event. The Pepsi Center also host numerous concerts for some of the biggest entertainers in the world, to include Pink, Elton John, Chris Stapleton, Fleetwood Mac and Stevie Nicks to name a few. 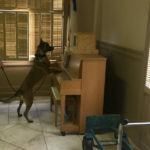 Mission K9 Rescue has worked with Houston K9 Academy on two occasions with retired working dogs that required rehabilitation prior to adoption. 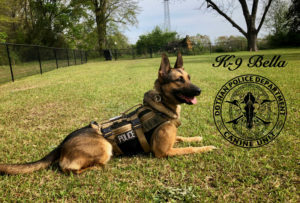 Due to their commitment, not only to current working K9s but retired ones as well, we are excited to partner with Houston K9 Academy with future endeavors. I credit Houston K9 Academy for our continued success on the street! The real-world training academy experience that Houston K9 facilitates mentally and physically prepares you for things you’ll encounter on patrol. The continuing education courses they offer are also phenomenal.They seek out world class trainers ensuring they offer the best content available. Keros and I aren’t just a Waller county K9 team, we’re a Houston K9 Academy team. My name is J.D. 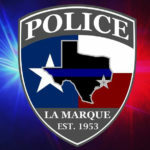 Nitchman, I am a new Narcotics K9 Handler with the Deer Park Police Department. We chose Houston K9 Academy because of its stellar reputation within the K9 Handler Community. We met with Jason and Jaz, who were very easy to work with, professional, and sensitive to the specific needs of our police department. We described the type of dog we needed from them and they were able to deliver with K9 Roni, the embodiment of what we had envisioned for the department. Myself and my new partner, K9 Roni, went through Narcotics Handler School with Jaz as instructor. I was blown away with Jaz’s level of professionalism, knowledge, and coaching ability. Jaz had a range of experienced and inexperienced handlers and dogs working in the academy. Jaz was able provide me with ample amount of one on one training and direction, which was crucial to us as a rookie handler and dog team. I have played sports at the highest levels and I know a good coach when I see one. Jaz is an excellent coach, who has the knowledge and expertise to back it up. Thank you to Jason and Jaz for an excellent experience as Houston K9 Academy. My K9 Partner of 3 years was diagnosed with cancer and lost his leg in December which prevented him from continuing from being a patrol K9. My department looked to Houston K-9 Academy for selection of a new Patrol/ECD K9 for me. My department has purchased very impressive K9s from them before but this is my first time using them. I have been nothing but impressed with Houston K-9 Academy! Jason and Jaz made the entire K9 selection process easier and were always willing to go above and beyond to help. Throughout the selection process, we have tested a number of K9s to find the right one for me. The quality of their dogs that we tested has been extremely impressive! I can not recommend these guys enough! Because of Houston K9 Academy, I feel that I have found an outstanding K9 that will be extremely successful and will make a huge difference in our community. 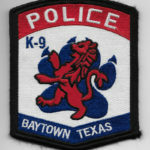 I have been a police canine handler with Houston Police Department for 8 years. 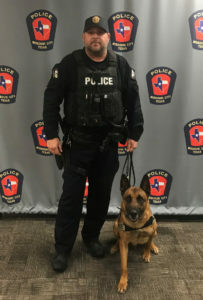 After my first dog, K9 Rony, passed away from an injury sustained while tracking a suspect, I was gifted a new dog through K9s4COPS from Houston K9 Academy. I had previously gone through their Trainer’s Course and had a good idea of the caliber of the dogs that Jaz and Jason have available, but this would be my first dog purchased from them. 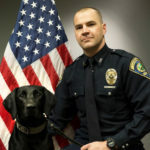 Going into the selection for my new dog, the bar was set high, as K9 Rony had ended his career with 236 street captures and had proven himself time after time. The next dog was going to need to be as good, if not better. Jaz and Jason had multiple dogs to select from, none of whom any handler could go wrong choosing. I ultimately ended up choosing a Belgian Malinois named Boxi. Although I’ve only had Boxi on the street 6 months, he is on track to exceed my expectations, as he already has over 25 street captures. K9 Boxi impressed my department to the point where I have now selected two additional dogs from Jaz and Jason, and foresee more to come. I have also attended several classes through Jaz and Jason, such as the tactical E-Collar class, and continue to be impressed from all aspects of Houston K9 Academy. Jason and Jaz have a world of knowledge from their experiences through the years. Fortunately for me, they love to pass on this information. I am truly lucky to have had multiple opportunities to garner so much knowledge from them. The quality canines that come from their facility cannot be beat! Thank you, again, for the awesome dogs you have provided us! We will be back to see you again. I had the privilege of attending Houston K9 Academy’s handlers course in May of 2017. HK9A staff are extremely knowledgable on all aspects of law enforcement k9, training police dogs for the street with Officer safety as number 1. Both Jason and Jaz were very attentive to each handler and dog’s personalities and found a way to blend them together to form a team. 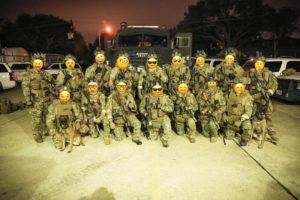 HK9A has been more like a family than a dog vendor. If ever there are questions or concerns throughout the Academy (or after) they never hesitate to assist. The dogs, in my opinion are top notch, highly driven to work yet highly controllable at the same time. K9 Baretta and I have had nothing but success on the street and it’s all thanks to the hard work and dedication put forth by HK9A. 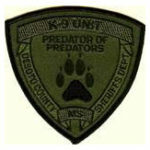 I just attended a 9 week patrol class at Houston K9 Academy where I learned tracking and patrol techniques. The training is realistic and very useful. I have learned so much and have been able to see my dog Buc-ee transform into what I believe will be a great police K9. I also had the opportunity to attend a K9 semiar during class where I watched 42 dog teams work. The quality of the dogs that Houston K9 Academy produced were very good. Both of the top dog awards went to Houston K9 Dogs. Training has been outstanding. Jason and Jaz took the time to assist with K9 selection and matching the best dog to partner with. The outline of the class is presented with the how’s and why’s with classroom and building to live deployments. Training is a lot of repetitions with accountability, scenarios based on actual work-related encounters. Graduating you feel prepared to hit the streets as a team. Thank you for the outstanding partner and training. I would also like to thank you for what you have done for the Pearland Police Department K9 Unit. We have built the unit to five (5) teams with your guidance and expertise. It is evident with your commitment and dedication that Houston K9 academy is truly service excellence. We are Houston K9 Family!! My experience at Houston K9 Academy was outstanding on all of my many visits to select dogs. Jaz, Jason, and Eddie supply you with the highest caliber of dogs to select from, the hardest decision you deal with is which amazing dog to pick. They always take the time to find out exactly what you are looking for and make sure you leave completely satisfied. Houston K9 Academy goes above and beyond with their relationship with their clients. You do not only get undivided attention during the selection process they are always available and willing to help long after you leave the kennel. Every selection trip I have made the kennel has been organized and clean with excellent onsite and off-site training facilities at your disposal. When you purchase a K9 from Houston K9 Academy you are not just a number to add to the books. You are family!! 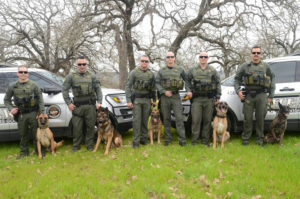 Houston K9 Academy has been instrumental in the success of the Waller County Sheriff’s Office K9 Unit. 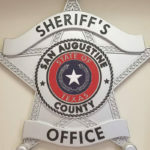 Their ability to work with command staff to ensure proper training and the flow of information exceeded my expectations. 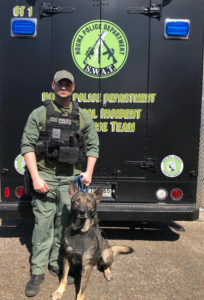 The continued success K9 Keros and his handler have shown on patrol solidifies the level of training and core values Houston K9 Academy stands behind. Thank you Houston K9 Academy and Jaz and Jason Stanze! 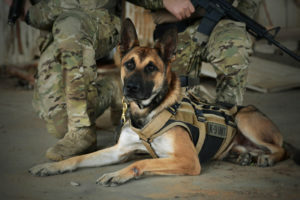 Tails of Hope Foundation, Inc. is a 501(c)3 non-profit, all-volunteer, charity (https://www.tailsofhopefoundation.org ) whose mission is to support national security K9 teams from deployment to disability. 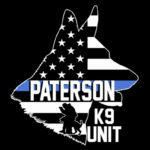 Since 2016 we have gifted four of your K9s to the Paterson NJ Police K9 Unit and each is a “rock star” in performance — whether single or dual purpose. Because of you and their outstanding police K9 work, thousands of doses of drugs and many weapons have been removed from the streets of Paterson, making the community safer for all who visit, work, or live there. 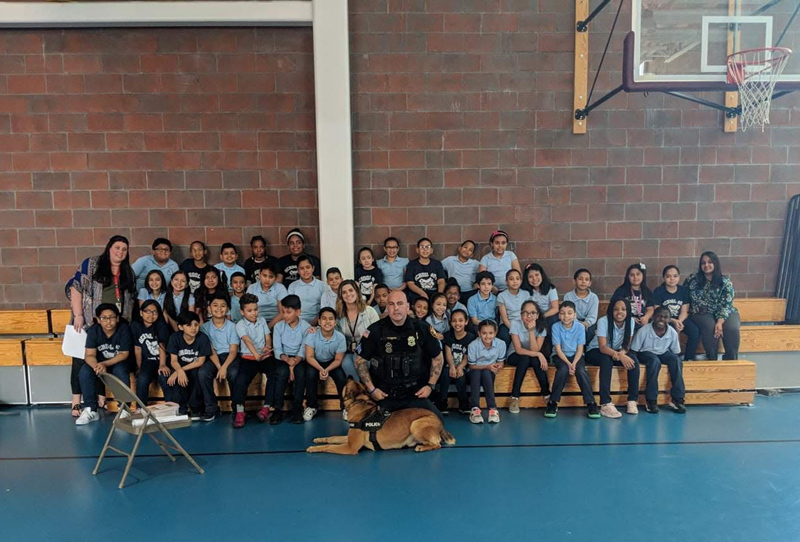 Your K9s have also appeared with Tails of Hope and Paterson Police at many public events including the National September 11 Memorial and Museum’s annual Community Day in New York City. There your K9s participate in K9 demonstrations and “meet and greet” thousands of people from around the world. I am always astounded on how they perform an “apprehension take-down” one moment and then gently meet children in the audience the next. Their temperaments are wonderful. Some of the Museum’s visitors have been personally affected by the 9/11 attacks, while others join us to pay their respects, learn about and give thanks for the critical police work these K9s do. Working with Houston K9 Academy is a pleasure because of your integrity, expertise, quality of, and compassion for, the K9s we have purchased. Thank you for making our communities safer and for always being available to help us! Training at Houston K9 Academy is all about keeping you and your partner safe. They put you in real world training scenarios to ensure you are equipped to hit the streets. Thank you to Jaz, Jason, and Eddie. You guys work hard to make sure we are all ready to hit the streets and that is why I love my Houston K9 Academy Family.